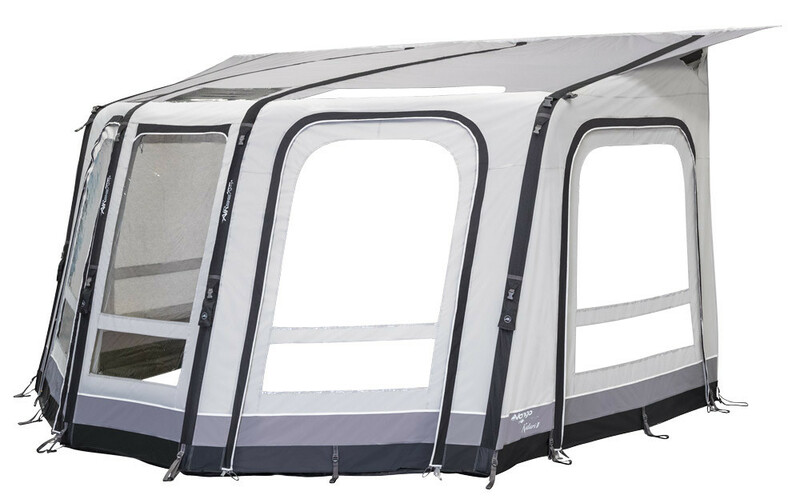 The Kalari II 380 has been created using Vango’s highest quality Sentinel Luxe 600 material. 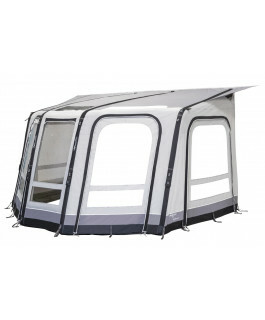 This provides this inflatable awning with long lasting durability. This combined with the factory taped watertight seams help to ensure excellent weather protection. The covered, heavyweight door zips also help to resist weather and the weather shield skirt minimizes drafts inside the awning. The Kalari II 380 air awning now includes Vango’s new SkyTrack II System which allows for useful light and storage accessories to be attached. You simply suspend the accessories from this track, making you feel more at home in your awning. The Skylight windows in roof work with the large clear windows to provide lots of daylight and a fantastic view of outside, you can even enjoy some stargazing at night time! 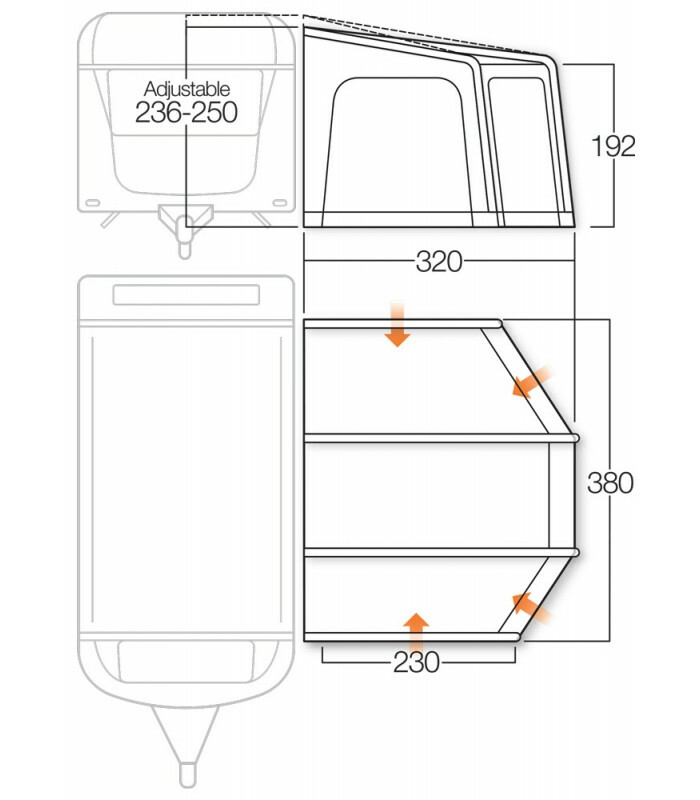 You can use the flexi side doors for extra ventilation in the awning by unzipping at the top. They can also be removed fully and replaced with a Kalari Annex to add extra space for sleeping guests. By utilizing Vango’s famous AirBeam technology, the Kalari II 380 air awning ensures set up is stress free with a pitching time of only 22 minutes! Once inflated the air beam tubes are robust and are now 30% larger in diameter, providing the awning with greater stability. The multiple webbing storm straps can be used in poorer weather conditions for extra security. The new smooth curve air beams maximise headroom inside the awning and door height, giving you a larger and more usable space to enjoy.